Kingston, Jamaica – Off-spinner Shane Shilling-ford says one of the changes to his bowling that has allowed him to resume his West Indies career is adopting a more side-on action. The 31-year-old, who was last November reported and a month later suspended by the International Cricket Council (ICC) for a suspect bowling action, made the revelation on his return to competitive action last weekend. He participated in the WICB first-class tournament fixture between Jamaica and the Windwards at Sabina Park, where he not only claimed an impressive 11 wickets, but also the Man-of-the-Match award. He claimed four for 61 in the first innings and seven for 116 in the second to lead his team to a three-wicket win. “The difference now is to remain side-on for longer,” he said, when asked what was new about his bowling style. “As a result, there will be a lot more purchase on the ball and a lot more drift on the ball. “It also allows one to be a bit more upright and rotate a bit more from pivoting to finishing the action. “That was pretty much what the remedial work was about,” he said. Shillingford primarily completed remedial work with former West Indies fast bowler Vasbert Drakes and current West Indies coach, Ottis Gibson. He also took part in bio-mechanical bowling analysis exercises with the University of Western Australia in Perth. “The remedial work was not that difficult,” he said. “Me and my coach, Vasbert Drakes, did a lot of work, day in and day out. “Once we understood what we had to do, it then came down to a matter of time, and getting the body back into shape. Shillingford, who has been cleared by the ICC to bowl his off-spin and arm-ball, but has been banned from bowling the ‘doosra’, also had high praises for new WICB director of cricket, Richard Pybus. “Mr Pybus really believed in me and he was the one who was really behind how the remedial work was going, updating and sending back footage, and so on and so forth,” Shillingford said. 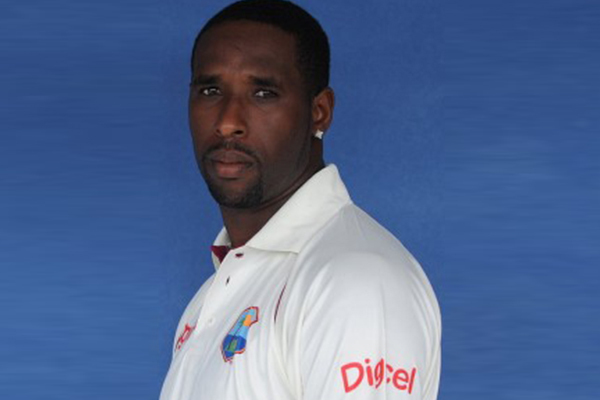 Shillingford has represented the West Indies in 14 Tests during, which time has taken wickets at an average 32.32. He is yet to represent the West Indies in either One Day or Twenty20 Internationals.